Our range of services include mediation service. ADR (Alternative Dispute Resolution) is today resorted to by many businesses, industires and individuals, as it is fast and economical. Neemus ADR offers mediation services to commercial undertakings, families and individuals. Our Director - K S Sarma is an accredited Mediator, having undergone the qualifying training programme at the Indian Institute of Arbitration and Mediation, conforming to the standards set by the International Mediation Institute (IMI), The Hague. Sarma also is an excellent negotiator. 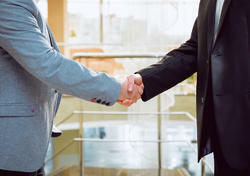 He does commercial negotiation for businesses and industries.